If you are looking for a European city break with beautiful weather, delicious food and loads of culture then look no further than this weekend break to the Spanish capital. With direct flights, accommodation, transfers and an expertly guided tour with our local guides, there has never been a better time to visit this fascinating city. On your guided tour you will take in some of Madrid’s highlights including the Royal Palace and the Plaza de España. There will also, of course, be plenty of free time to explore and discover Madrid at your own pace before your guided transfer home.Join us and see the very best of what Madrid has to offer on this 3-night weekend break. 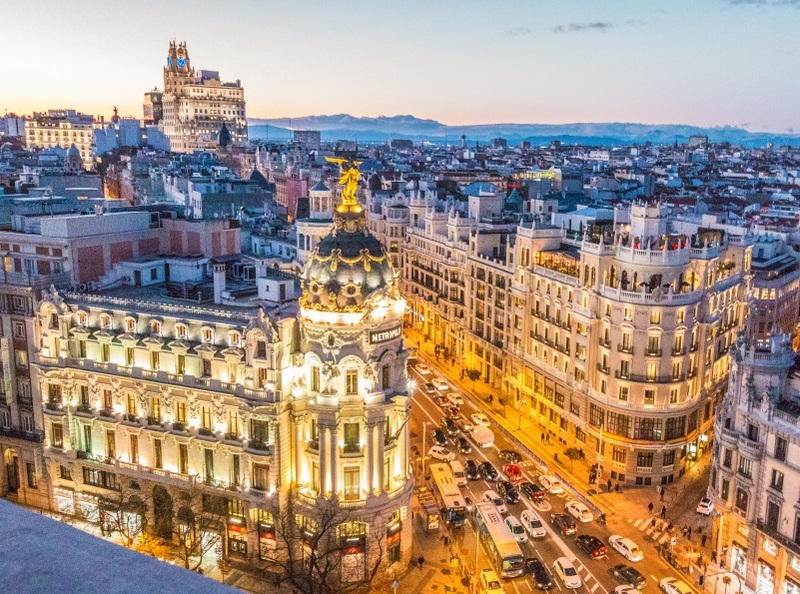 The Hotel Exe Moncloa is ideally located to explore the beautiful Spanish capital of Madrid, with easy access to the historic city centre by metro or by foot. The hotel’s interior is decorated in a sleek modern style and offers comfortable and well-equipped rooms, to ensure an enjoyable stay. Hotel Puerta de Toledo is a popular hotel in the heart of the historic area of Madrid, just a minute on foot from the city gate from which it takes its name. Many of the city’s attractions are within walking distance, including The Royal Palace, Plaza Mayor, El Rastro market and La Latina, with its bustling squares and terrace cafes.